​The Mind and Morality Lab is an interdisciplinary group in philosophy and cognitive science at Boston University. The lab hosts a philosophy and science talk series each semester. 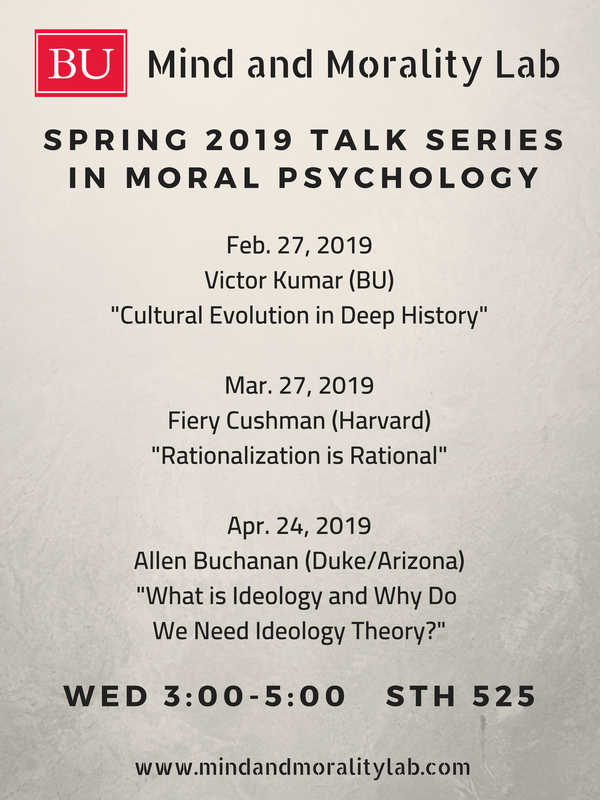 ​​In Spring 2019 it co-hosts a conference in evolutionary theory and moral philosophy. ​Funding for the lab is provided by the Peter Paul Career Development Fund, BU Ethics and Emerging Sciences (BEES), and the Philosophy Department.